Which is the best smartphone available in less than Rs 15,000? It is very difficult to answer this question. If seen, the price segment of Rs 15,000 is the most popular in India and there is tremendous competition among the companies in this segment. In the last few years, many such smartphones have been launched in the price segment of Rs 15,000, which can also challenge the flagship device in many ways. The fact is that companies try to launch more and more phones in this segment. This is the perfect time to buy phones worth Rs 15,000 after coming out with brand new phones like Xiaomi and after the price cut of some phones. This list has been included in the list which has been reviewed by akhiltechnicalnews. 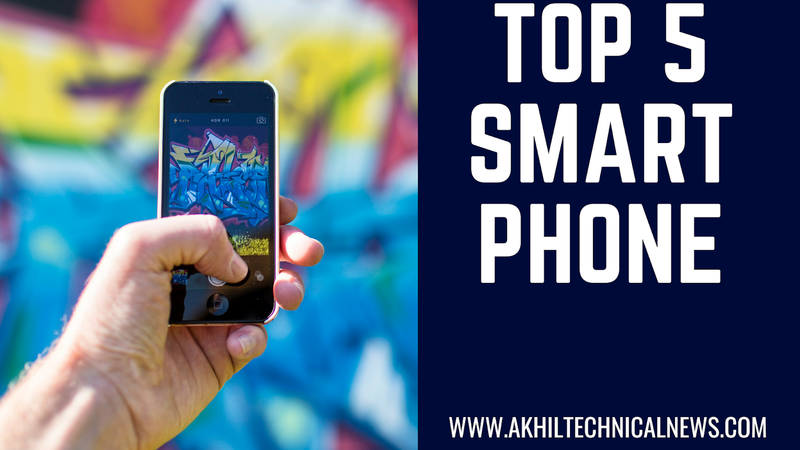 If your budget is slightly lower, then you can also look at the best smartphones up to Rs 10,000. Xiaomi Redmi Note 5 Pro (review) is another smartphone that comes with a nozzle display. This phone with metal design has two rear cameras capable of the very last part. It is equipped with Face Unlock feature and has a crisp and vibrant display of 5.99 inches. Like other phones of Xiaomi, Redmi Note 5 Pro comes with a very strong specification at its price. As a package, it is one of the best specs of Rs 15,000 price range. Snapdragon 636 processor has been used in this. The Adreno 509 GPU for graphics is integrated and the battery is of 4000 mAh. For 14,999 rupees you will get 4 GB RAM variants of this phone. Well, it also has a 6 GB RAM variant, which costs 16,999 rupees. Zenfone Max Pro M1 is the most powerful budget smartphone of Asus Brand. The battery is quite disappointed in common use, especially considering the large battery given in it. However, brighter and puny display, superb performance, sleek design and clean software work to overcome this shortcoming. There are three variants of ZenFone Max Pro M1 ZenFone Max Pro M1 starts at Rs 10,999. It costs 3 GB of RAM and 32 GB storage variants. 4GB RAM and 64 GB storage variants are sold for Rs. 12,999. Redmi Note 5 Pro's younger brother Redmi Note 5 is for those users whose budget is slightly shorter. Redmi Note 5 (Review) is a win-win business deal due to the thin bezel design, strong battery life, crisp and visual display, fine cameras and strong build quality. It has a very capable Snapdragon 625 processor. The phone has a 5.99-inch fullscreen display, 4000 mAh battery, and 32 / 64GB inbuilt storage. The price of 3 GB RAM variants is 9,999 rupees while 4GB RAM variants are sold for Rs 11,999. Even though the Moto G series has two new smartphones in the market, but Moto G5S Plus is still a good option. It is more powerful than the Moto G6, with more value for money products. Its build quality is good. Almost Android Stocks get the experience of Android. It comes with the 5.5-inch crisp display. If you prefer to stay in trend, then the Moto G5S Plus can cut the 18: 9 display shortage. Only one variant of the smartphone is 4 GB RAM and 64 GB of storage. Despite being an old-year-old, this smartphone is keeping its edge in this segment. Xiaomi Mi A1 (review) comes with the best dual camera setup of its class. It is equipped with premium metal design and highly capable processor. Apart from this Mi A1 is the only Android One smartphone of the Xiaomi family. In this, you get stock Android experience with strong hardware. The Snapdragon 625 processor is used in the handset. Its only variant is 4 GB RAM, which is available for Rs 13,999. Xiaomi Mi Max 2 (review) with a 6.44-inch display for tablet fables is a good choice. Performance, battery life, build quality and design go in favor of this phone. The phone has 4 GB RAM and 5300 MAH battery with Snapdragon 625 processor. By the way, due to the large display, you will have to make many agreements. Keeping the phone in one hand is not easy and its cameras are of very high quality. The 32GB storage variant is priced at Rs. 12,999 and its 64 GB storage variant can be purchased for Rs. 14,999.